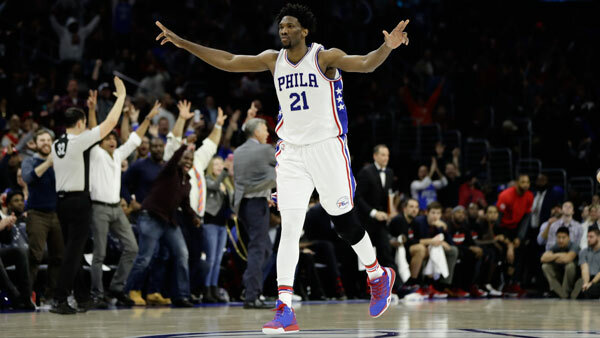 Philadelphia 76ers center Joel Embiid has agreed to a five-year, $148-million designated rookie scale maximum contract extension, league sources told ESPN. The designated exception -- termed "The Super Max -- allows Embiid to earn a higher percentage of the salary cap -- and potentially millions of dollars more -- if he meets criteria over the course of the deal, including, making All-NBA teams, winning NBA Defensive Player of the Year, or the NBA's Most Valuable Player.If Embiid meets the super max criteria, he could earn an as much as $178 million on the contract, league sources said. For Embiid, the deal is a remarkable commitment to his immense talent given that he's only been healthy enough to play 31 regular-season games since the 76ers selected him with the No. 3 overall pick in the 2014 NBA Draft. Embiid, 23, has progressed into the NBA's most talented and popular young players and the extension solidifies him as a cornerstone player of the franchise's future. The deal will include some salary cap protection for the 76ers should Embiid sustain injury that causes him to miss significant playing time, league sources said.